This week we made a big exciting step on our path to further regenerate our town centre and continue its transformation into a vibrant hub of leisure, culture and pride. 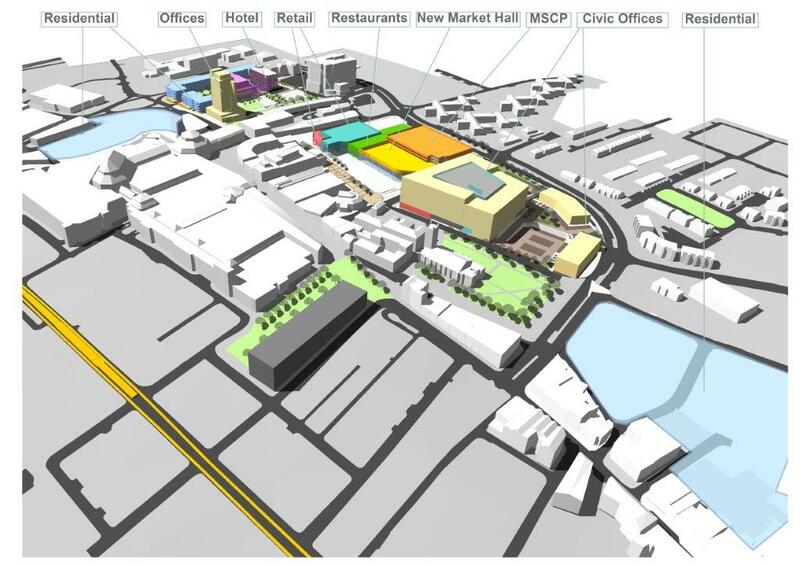 Along with the council’s other Cabinet members, I have voted in favour of the Oldham Town Centre Masterplan. 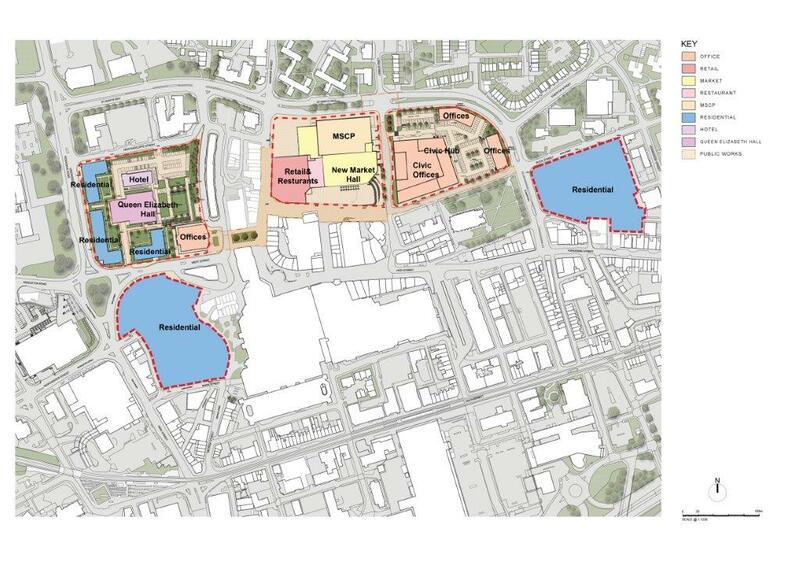 This is the biggest forward planning exercise we’ve ever had for Oldham town centre. It’s exciting and it’s all about creating the kind of place we want it to be in the future. 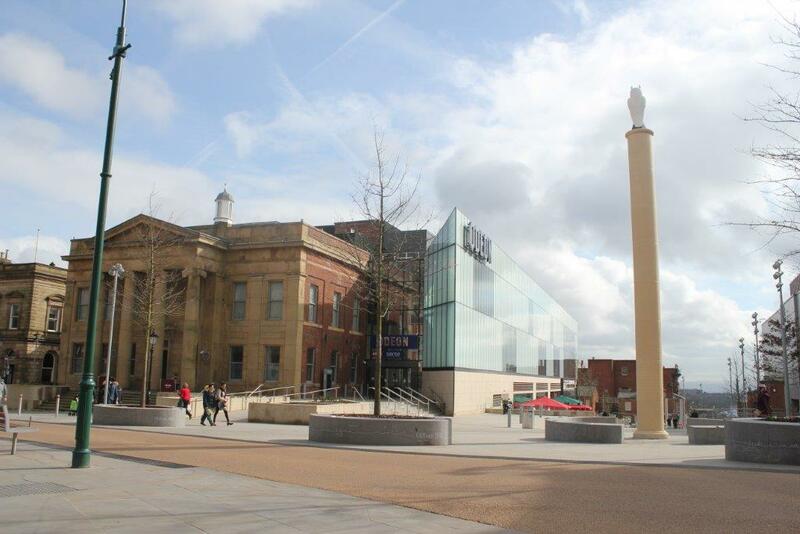 Many positive regeneration schemes are already improving our town centre – like the Old Town Hall, and plans for the Cultural Quarter with a new Coliseum Theatre, and the Independent Quarter – but we cannot make the mistake of standing still. So I think I should start by telling you what this is all about. 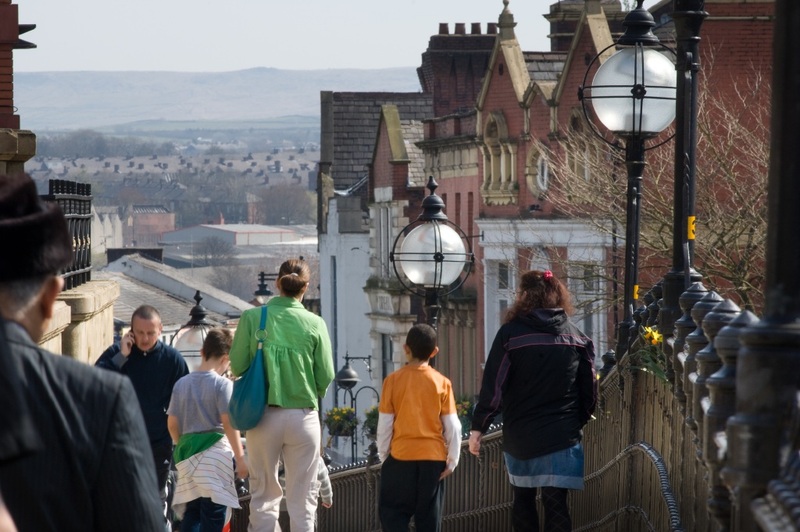 In short, we want Oldham to be a vibrant place with high-quality attractions, an excellent cultural and shopping offer and a family friendly night time economy. Ultimately, we want the town centre to be a place where more residents want to live and spend their leisure time. To achieve this we need a plan, one that can help us turn Oldham into the place we all deserve. 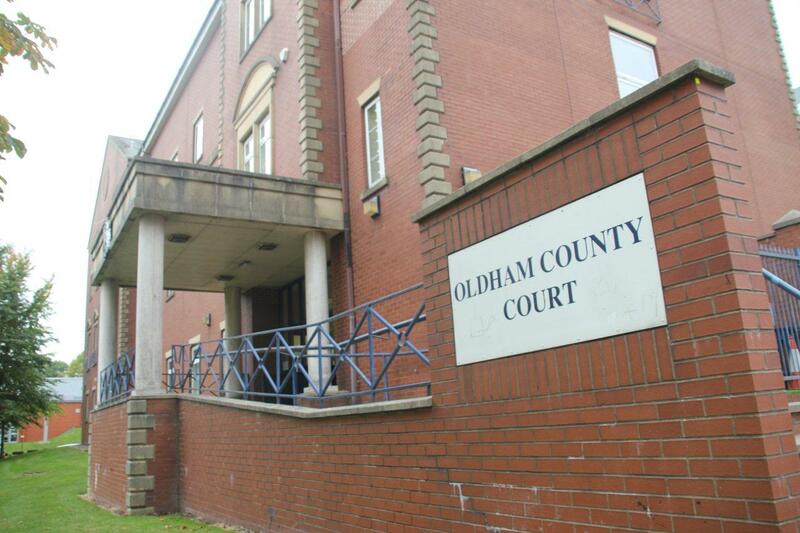 We have a lot to offer in Oldham. We will be a big voice and a big attraction within Greater Manchester and this masterplan will help make us stand out as a destination of choice within the region and beyond. With these plans we’ll show everyone just how great Oldham is and exactly what we have to offer. We want to transform five sites in the town centre, 21 acres in total, by 2035. The plans would deliver a new Tommyfield Market on the existing site with a new 600-capacity multi-storey car park adjacent. This aims to attract additional footfall, plus complementary new retail/leisure units and quality public spaces. As well as a new market we want to deliver homes and town centre living, a new Civic Hub and plenty more space for other developments. This would all bring in a projected additional £50 million a year to our economy. There are only five local authorities to have lost a bigger percentage of their budget from the government over the last seven years than Oldham. We don’t get a fair deal from Westminster but this won’t prevent us from deciding our own future. This masterplan is a very large scale redevelopment and we can’t fund all of this on our own. We have a fantastic opportunity to attract partners from the private sector into a joint venture to deliver this scheme, or elements of it, and we’re confident this will be attractive to them. We’ve already seen private retailers coming forward to invest their own money in our Prince’s Gate scheme. This is because Oldham is attractive, Oldham has potential and Oldham has great ambition. We are now going to begin a 12-month consultation on our Town Centre Masterplan, listening to residents, partners, business and traders. When consultation gets underway I would urge everyone to do your bit, get involved and give us your views and ideas. We all have a stake in the future of Oldham’s town centre and this is a fantastic opportunity to transform its prospects over the next two decades. I’m the Leader of Oldham Council but I don’t have the monopoly on the right ideas. I’ll be in touch to let you know how you can get involved. We need to hear what you think because you are at the forefront of everything we do. People will ask questions and so they should. Because we’re a proud bunch in Oldham and we care about our future. And there might be people who criticise these plans. I remember people doing this when we announced the Old Town Hall plans but just look at it now. We deliver. It’s a very exciting time to be an Oldhamer and we’re just getting started. 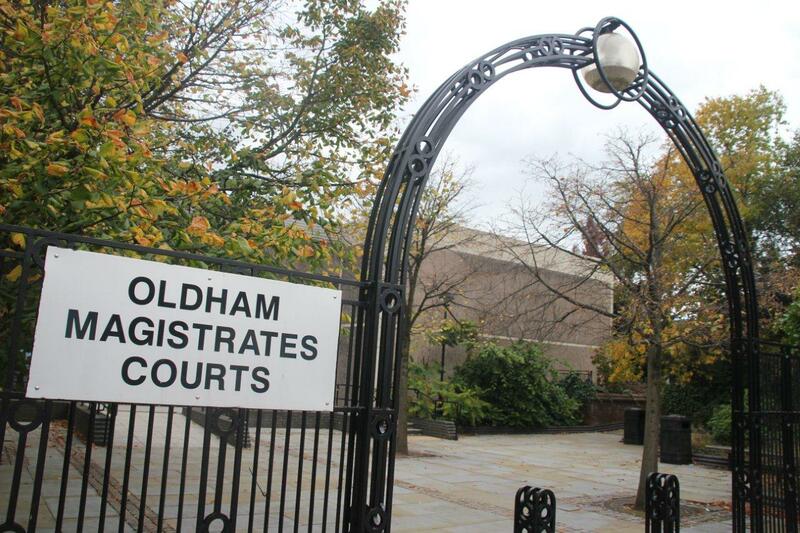 YESTERDAY was an important day for thousands of parents and children across Oldham. ‘National Offer Day’, as it is now known, is when mums and dads find out which school their child will be starting their secondary education at next September. In our borough, like everywhere else, we’ve seen a significant increase in the numbers of school age children needing places in recent years. We take our responsibility to ensure that each child gets a school place very seriously, but it is no easy task. Putting aside the reality that it is never possible to grant every parent’s preference, this legal duty (as the cross-party Local Government Association has warned this week) could soon become “undeliverable” in many areas. Significant population growth means many secondary schools are now already at or above capacity nationwide. Last year local authorities had to provide around 2.75m secondary school places, but that is set to rise to 3.28m by 2024. These are huge numbers and pressures. Under the Government’s rules, all new schools to help cope with this demand must be “free schools”, created outside of local authority control. And – to be clear – we are fully committed to working with Vicky Beer, the Regional Schools Commissioner for Lancashire and West Yorkshire, to help to find good quality local sponsors for new schools in our area. But I also agree with the LGA’s call for councils themselves to be able to open new schools, and to require academies to expand to meet local demand, where necessary. There are now fewer and fewer schools under the direct control of councils. It’s surely common sense that local authorities are well placed to act to ensure school places can be created on time – and in the right places. If we are to be tasked with ensuring sufficient school places we need to have more flexibility and influence in the system to have any realistic prospect of delivering that capacity. Here in Oldham we’ve been seeing a significant increase in demand for places for some time and we have taken the necessary actions. First, we put a better forecasting method in place looking at all available data on births, housing and new arrivals so we can plan ahead. Secondly, we got on with an expansion programme to provide extra capacity. That includes plans to boost primary places with a new three-form entry school on the former Grange School site, plus the expansion of places in Failsworth, Hollinwood and Lees. Last week we also saw planning approval granted for a new Saddleworth School that will increase pupil numbers from 1,350 to 1,500 – and plans are also about to go out to statutory consultation to double the capacity at Greenfield primary with a new build two-form entry school. So, how have we done this year with the provision of secondary school places? Out of 3,468 applications received some 2,773 (80 per cent) of applicants got their first-choice school preference and, in total, 93 per cent of all applicants got one of their first three (from six) choices. These figures are not unusual and pretty static as a trend. The number of parents applying for certain local secondary schools as their first choice exceeds the number of pupils they can take every year. I’ve said from the outset that the education and skills offer here in the borough is a key focus for my leadership, and every bit as vital to our future as physical regeneration. So I was interested this week when Michael Wilshaw, Ofsted’s chief inspector of schools, warned Greater Manchester that the region’s poor performing secondaries could “choke” the Northern Powerhouse vision. I do hope that this was at least a recognition that local authorities need to have a strong role in school improvement, whatever the type of school, because we actually have less influence than ever before. This is not about councils wanting to directly control academies or free schools, we know that’s not going to happen, but it is about being able to intervene for the good of local communities when schools are not performing. It cannot be right that all the responsibility for performance can fall upon councils without us having the appropriate powers to act. COMMISSION: Estelle Morris chaired the OESC which delivered its vital report in January. I welcome the calls now for discussion about us having a specific GM Schools Commissioner who would work with a Further Education Commissioner to give more focus on local need and deliver closer coordination between schools and post-16 education. We are, of course, doing everything we can to meet the challenge of ensuring no child is without a school place in Oldham – but that’s only part of the battle. The bigger picture is to implement the recommendations of the Oldham Education and Skills Commission report so that every child can not just get a place, but can get one at a ‘good’ or ‘outstanding’ local school – and have the best chance of fulfilling their full potential. It’s been a good week for Oldham with the news that we’ve signed another major inward investment deal – bringing yet more jobs and money to the local economy. Landmark deals like this one are usually the result of considerable time and effort by officers and this one is no exception. Last year the Jardine Motors Group, a major Audi dealership, approached us about the availability of the old Westhulme Hospital site off Chadderton Way. They had identified it as a perfect fit for their plans to build a 17-car showroom with a 24-bay service workshop and to create a hub that can support all of their existing businesses across the region. 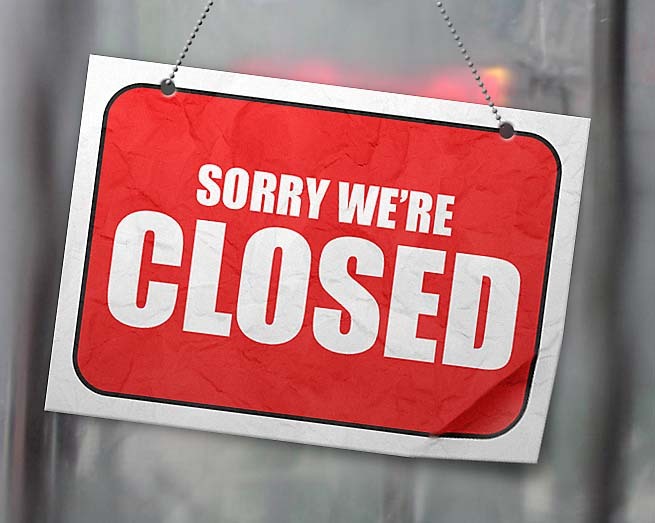 The site was owned by the NHS Trust and we knew it was surplus to requirements so officers in our regeneration team set to work with them to see what could be done. 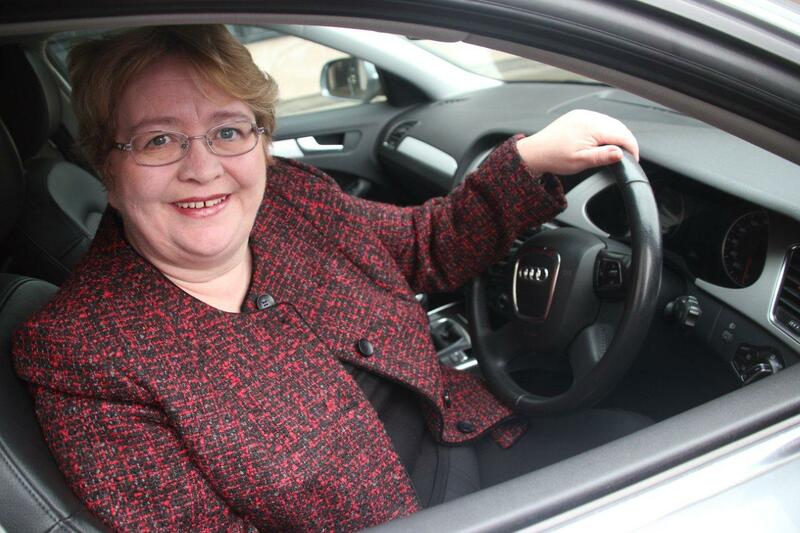 The upshot – subject to planning permission – would be a new Audi dealership that will represent an investment of around £8 million into the borough. Not only does that mean another major brand has chosen to have a presence in Oldham, it’s also good news in so many other ways. It will mean the creation of around 87 new skilled jobs and Jardine have also signed up to our Get Oldham Working campaign which means they’ve committed to working alongside our colleges and supply chains to create even more new local opportunities. 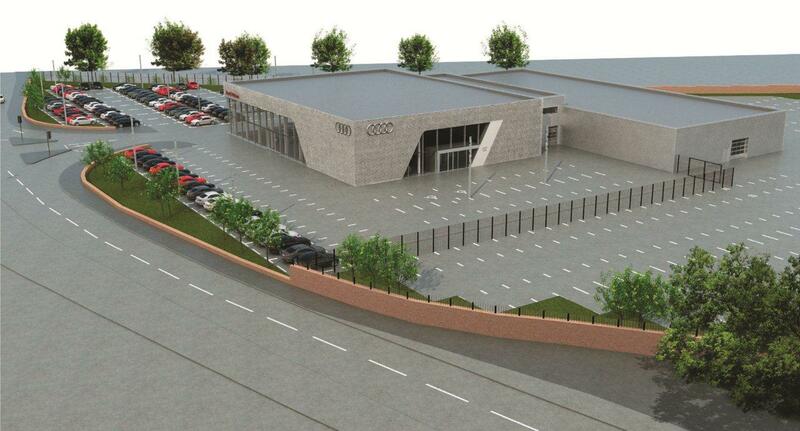 MAJOR DEAL: Artist’s impression of the proposed Audi dealership off Chadderton Way. That makes this a ‘win win’ for everyone – and every extra bit of business rates income will, of course, also help the council in the face of our ongoing financial pressures. That is timely as Monday saw the release of the final Local Government finance settlement, which is official confirmation of exactly what funding we will get from Government for the 2016/7 financial year. Tomorrow night (Thursday) we will be taking the final proposed tranche of cuts for that year of around £16.1m to Cabinet. Getting to this stage has meant making a series of tough decisions: the vast majority of which neither myself nor my colleagues would willingly want to make. Part of the final proposals also mean that your Council Tax will increase next year. Two per cent of that rise is because the Government – by its own admission – simply isn’t giving us enough to help tackle the spiralling costs in social care. Their solution to this has been to conveniently give all councils a new option to put their Council Tax up by 2 per cent to fund that gap (it doesn’t do that at all, by the way). I understand every Greater Manchester council – like the vast majority across the country – will be taking this option, but it is still a bitter pill. Essentially the Government is passing the blame for this funding cut and problem down to us – and then leaving us to pass it on to your bottom line. Since 2009 we’ve now had to find a total of £176 million in cuts from our budget and February has become a time of year that we all dread. The decisions get harder each time and so, undeniably, does the impact on residents and your frontline services. Our final proposals will go next to Full Council (Budget) on Wednesday, February 24, for approval. The meeting will, as usual, be broadcast live on our website, but I can’t promise it will make for happy viewing(!). WELCOME to my first-ever blog as Oldham Council Leader – and thank you all for the many good wishes and congratulation messages that I have received. I’m honoured to be following Jim McMahon in this role and – like him – I’ll be writing a blog each week. I wanted this job because Oldham is in my heart and it’s in my blood. I was born here, brought up here and have lived here most of my life. As I explained in my first speech as Leader to Full Council last week, I’m very proud of the forward strides we have made since 2011 – and that work goes on. There’ll be no lowering of ambitions, no slackening of effort and no settling for second best while I am at the helm in Oldham. People want and deserve our long-standing regeneration schemes and these will continue. But I will also be giving more focus to social regeneration: not just bricks and mortar. A major priority in that respect is my pledge to ensure the Oldham Education and Skills Commission report recommendations are implemented. Too many young people don’t get to reach their full potential because some of our schools are not yet up to scratch. I’ve been asked what happens next. Well, that document won’t be sitting on a shelf gathering dust – I won’t allow it. Cabinet has already committed £1m to take this work forward and a meeting later this week will discuss the structure and governance arrangements that we will need to get cracking. Parents and education partners will all want to see us get on with this work quickly. You can rest assured I will be taking a keen interest in this – and I have high expectations of the difference that we can make by working together with those partners. I’D LIKE TO wish all our residents a ‘Happy New Year’ for the last time in my capacity as Oldham Council Leader. Later this month I’ll be stepping down to focus on my new role as the MP for Oldham West and Royton, but this does not mean I am moving on. Instead I see this as ‘stepping up’ to represent the borough in a different way – championing your interests at Westminster, where we need a strong voice now more than ever. I’ve also agreed to take on a new ambassadorial role to continue giving leadership on the regeneration programme here which will be entering a very exciting period in 2016. We’ve had plenty of milestones in the last year with the opening of new Leisure Centres in Oldham and Royton, the North Stand at Oldham Athletic, FCHO’s new headquarters on Union Street, plus the blossoming of new businesses and creative ventures in the Independent Quarter, and much more. In the coming months you’ll continue to see even further progress on projects that are there to ensure Oldham – and above all, its people – can prosper. The developments I just mentioned are important parts of our ‘invest to grow’ programme of physical regeneration, but none are more symbolic of our aspirations than the Old Town Hall. FLAGSHIP: Contractors working to transform the Old Town Hall. This is our flagship scheme and the sense of anticipation is growing with every new steel strut, column and window. When work to rejuvenate this venue is complete, when families are queuing to end a decade-long wait for cinema tickets, when doors open at its six new restaurants, and when the first cappuccinos are frothed for visitors to the adjacent Parliament Square, it will be a hugely-significant moment for Oldham. This is a development to put the town centre back on the map: to reawaken this grand old building and its surrounds and restore it to its rightful place as a symbol of civic pride. That will be a powerful moment in 2016, but I know it really only marks the end of the beginning of the longer journey that lies ahead. Much remains to be done because we’re still facing a range of challenges to our future prosperity and wellbeing. In 2015 at Oldham Council we finalised the process of finding £35m in cuts for our 2015/6 budget and then almost immediately set about finding a further £18m of savings for 2016/7. We know these cuts are having a real impact on residents and services – and our partners – despite our determination to continue delivering and supporting people. The cuts – more than £200 million since 2010 – have been accompanied by rising demand for help from our most vulnerable residents and will be further compounded by new Government plans to remove central funding that will effectively leave towns like ours to ‘sink or swim’ on our own resources. That’s why so much hard work has already being going on in key projects that aren’t about bricks and mortar, but about social regeneration. When I say that I’m thinking of schemes like Get Oldham Working, which beat its original target to create 2,015 jobs, apprenticeship and traineeships with nine months to spare this year. I’m also thinking about the introduction of the Living Wage for council staff, the new Fair Employment Charter, which is designed to tackle issues like ‘zero hour’ contracts, and our work to put social value – ensuring contractors support our local economy – at the heart of every pound we spend. Another huge challenge is providing people with homes and good places to live. This year we began our licensing scheme for private landlords to stamp out the letting of poor quality accommodation, and continued to fight fuel poverty through projects like Warm Homes Oldham, from which around 2,000 homes have benefited. Construction has also begun on new homes at sites across the borough and we’ve introduced a Green Dividend scheme to help fund tree planting and other projects to make neighbourhoods better places to live. ESTELLE MORRIS: Launching the Oldham Education and Skills Commission at Stoneleigh Primary School. Crucially, the focus will turn to our future – young people and education – later this month when the Oldham Education and Skills Commission (OESC) delivers its landmark report. We’re working hard to deliver better facilities like the new Hollinwood Academy, Saddleworth School and the new three form entry primary school currently under construction on the former Grange site, but education isn’t just about an inspiring learning environment: it’s about every child getting the best chance to fulfil their potential. We know we can – and must – do better here because successful schools and training underpins all our ambitions to become a place where people want to live and work. The new OESC report will clearly set out the challenge that lies ahead: how to ensure our young people are school ready, work ready and life ready and we all have a part to play in that. Finally, I give you my word that as an MP I will be retaining as close an interest as ever in our progress on education and many other areas – including to ensure that we benefit fairly from devolution to Greater Manchester. I’m determined to continue to help drive things forward in our borough and make sure that we continue to innovate and change so we can deliver for tomorrow’s generation.